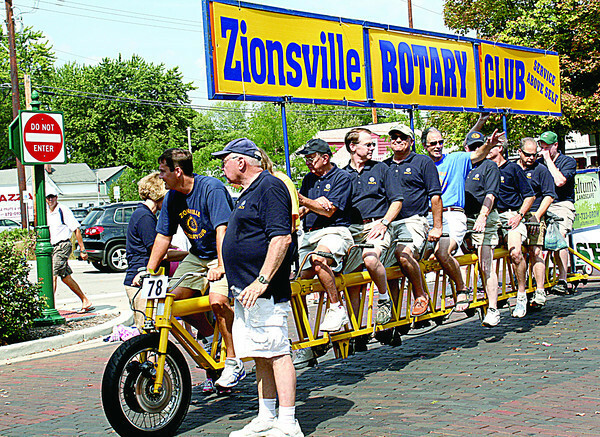 Zionsville Rotarians ride a bicycle made for ... 10?! The organization entered the bike in the 2013 Zionsville Fall Festival parade.